“Meadow Lark.” Words by Hal Keidel, music by Ted Fiorito (1926). 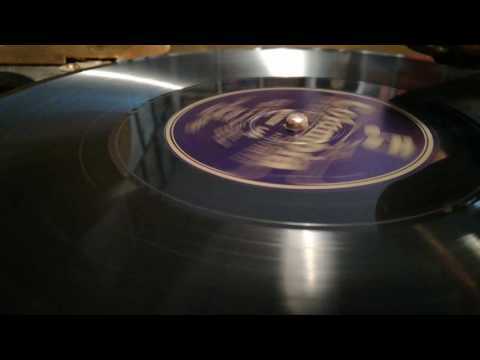 Recorded by Elsie Carlisle, accompanied by The Gilt-Edged Four, on February 4, 1927. Columbia 4275. Is ten times as sweet! 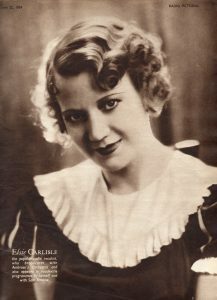 Elsie Carlisle imbues this catchy song with sweet, ebullient fun. I am particularly fond of the way that she emphasizes “With each hug we’re oh so snug, / Like a little bug in a little old rug!” This version of “Meadow Lark” fully realizes the potential of what was already an international hit, and the accompaniment provided by The Gilt-Edged Four could not be a better match to Elsie’s perkiness: they give the impression of unstoppable, upbeat energy throughout. “Meadow Lark” was recorded in America in 1926 by Adrian Schubert and His Salon Orchestra (with vocalist Irving Kaufman), the Isham Jones Orchestra (with vocals by Frank Munn), Bill Wirges and His Orchestra (as Phil Hughes and His High Hatters, with vocalist Tom Stacks), the Jack Albin Orchestra, Cole McElroy’s Spanish Ballroom Orchestra (with vocals by George Eichhorn), Wendell Hall, Jesse Crawford (on the organ), Duke Yellman and His Orchestra, George Olsen and His Music, Harry Reser’s Night Club Orchestra, Cliff Edwards (Ukelele Ike) and His Hot Combination, and Frances Sper. A version was broadcast by Sam ‘n’ Henry (Freeman Gosden and Charles Correll, who would later create the characters Amos ‘n’ Andy). In Britain in 1927 versions of “Meadow Lark” were recorded by Jack Hylton and His Orchestra (with vocals by Jack Hylton), The Piccadilly Revels Band (under the direction of Ray Starita, with vocals by his brother Al), the Edison Bell Dance Orchestra (with vocalist Tom Barratt), Bert and John Firman (as Eugene Brockman’s Dance Orchestra), and the Savoy Havana Band (in a “Blue Skies Selection”).